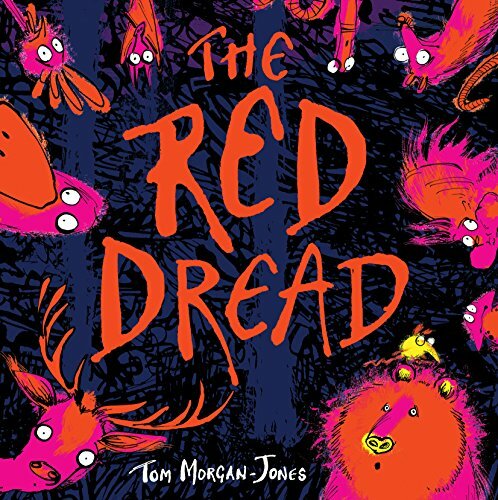 The cartoon-style animals of Tom Morgan-Jones' funny picture book, with their bold outlines, bright colours and expressive eyes, are set against a dark, cave-like background of inky lines where the "thump thump" sound of the approaching "Red Dread" fills them all with fear. Group panic ensues until Chicken realises that the thumping is actually the sound of his own terrified heartbeats. This is a highly entertaining picture book with great visual impact. The growing tension, and the implied messages about unfounded fears and group hysteria, are offset by humour. 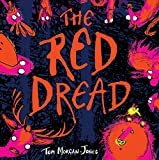 The illustrations are brimming with energy, expression and bold colour and perfectly complement the minimal text, which is full of onomatopoeia and repetition and is presented clearly in a bold black lettering contained in speech bubbles. This story would read aloud well, with excellent opportunities for sound effects, and, as would be expected from a picture book imprint of Barrington Stoke, the carefully chosen text and visual presentation would give confidence, and a sense of satisfaction and fun, to children reading the book themselves.